In 2012 Karen asked me if I could ask all of you if you wouldn’t mind responding to a survey for her, so she could guage interest in a new PlayGroup. Jumble Bees was formed as a result of this feedback and has been so successful that Karen is now looking for further support regarding a new song and craft group. Please can you complete the survey below for Karen. The survey won’t take more than 2 minutes to complete as it is just 7 questions long and is anonymous, but I know Karen will be very grateful if you could complete it for her so she could understand the demand for a new group. I would be really interested in any classes that run on weekends as my husband works every other weekend, so classes on Sunday would be of particular interest to me. If they would be of interest to you, please make sure you highlight this in the survey. So, do you have your New Year’s Resolutions sorted and are you raring to go? If exercise is high on you new years resolutions, check out the new FitMama Studio in Stroudley Road. The studio is run by Marie Bahena and Lola, the ladies who have very successfully developed the FitMama Method. See a previous blog HERE about FitMama. The FitMama Studio, Basingstoke, is a place where exercise meets motherhood! It is a home away from home, a support structure and place of self discovery, a hub of health and helping hands to get you to your goals. We may not have hairdryers and steam rooms, but we do have your goals and ambitions at heart, and will be with you through your journey of motherhood, whether you are pregnant or the mother of a 24 year old! With lashings of advice, honest assistance and downright good fun, we will never judge you, only help you. We will never give up on you, only continue to support you. We will be a shoulder when you need it and a jolly good laugh when the time is right. So don’t feel frumpy and alone, become a member of The FitMama Studio and start spreading the Fitmama Love… cheesy? yes, of course!!!!! The FitMama Studio is the Basingstoke HQ of the Fitmama family, including The FitMama Method Book (Souvenir Press) and Fitmama Ltd. All of which are dedicated to the health and well being of mothers and the professionals who work with them. The FitMama Studio is the flagship venue for all Fitmama classes, and used as a training centre for our exceptional FitMama Trainers who are expanding across the UK. The studio is incredibly Mum and Baby/Toddler friendly. They have classes in the evening time and during the day and also hosts one of the only Sling Meets in the area. You can join as a Pay as you Go member or you can pay a monthly fee. For more details, check out the FitMama studio website. If you would like more details about the Studio, please contact Marie, Lola and their team on the following: 01256 369 291 or email hello@thefitmamastudio.com. It’s on my list of things to do to check out one of the classes at the Studio very soon! Come and enjoy a focused session for your babies, whilst you enjoy a complimentary tea or coffee and the company of other parents with babies, who you can share experiences with. The session will be run by a qualified Nursery Practitioner and will end with singing a few nursery rhymes or a story. Please check out our Facebook Page: Playdays Indoor Playcentre, Basingstoke for more information and dates, or email us on: playdays.newbabyclub@gmail.com. The best way to ensure that you receive each post is subscribe using the “Email Sign Up” box” on the right hand side of the home page of NorthHantsMum.co.uk. Every time there is a new post on NHM you will receive an email in your inbox. I get the most interaction on” Louise NHM Smith” on Facebook . The best discussions and comments are always via “Louise NHM Smith“, so I also recommend adding me as a friend. Don’t worry, I don’t ever look at anyones’ profiles. I don’t have the time or interest! lol. Also ask to join the secret “Newborn” (or “Pregnancy”) facebook group that I have set up on “Louise NHM Smith” for parents of Newborns. It’s a great way to meet other Mum’s who are in the same stage of babyhood as you. Click for more details about what a PEEP course and Baby Sensory. Go swimming with your baby (after 12 weeks old) at the Sports Centre in the week or QMC swimming pool at the weekend. See Swimming with Babies for more details. You can check out other baby and child friendly swimming pools. Or maybe look into structured classes with Water Babies. Go to The Nest at Chineham Church on a Monday morning. I always found the cafe area to be lovely as everyone was very friendly and willing to chat to each other, even if you didn’t know them beforehand! 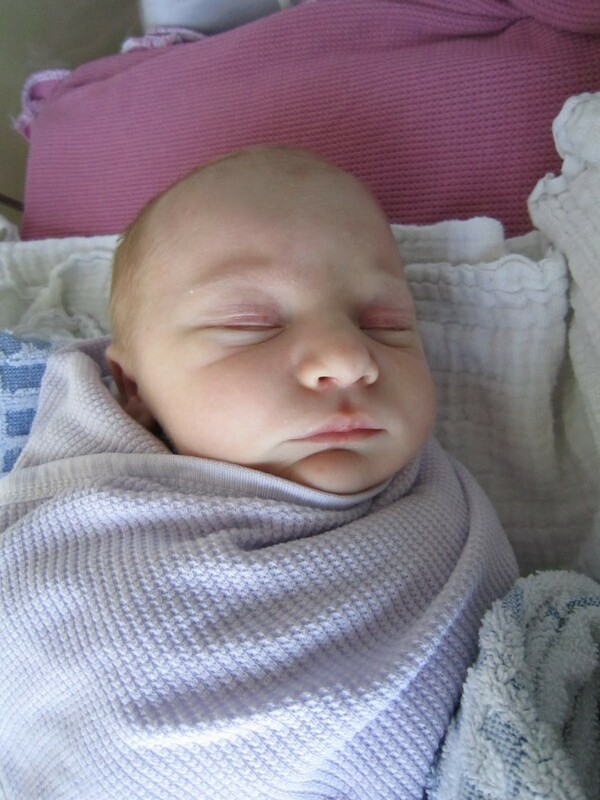 You can check out other baby weighing clinics: Baby Weighing Clinics in Basingstoke. Visit the Little Roses Coffee Shop in Elm Tree Garden Centre for coffee and cake with your friends who are also on maternity leave. You can find other baby friendly tea and coffee shops: Reasonably Priced Afternoon Tea‘s and NHM Recommended Children friendly Coffee Shops. I also recently reviewed The Parlour TeaRoom which also comes highly recommended. Go to Newbies cinema on a Monday morning at the Odeon. It’s specifically for parents with babies. The sound is reduced and it’s half lighting so you can still see your baby. Much cheaper than normal cinema tickets and includes free biscuits and tea and coffee (if you get there before the Senior cinema oldies demolish the lot at 11am!). Also recommend signing up to their Odeon Club as you get points and it’s amazing how quickly they rack up and convert into free tickets or free food! Miss NHM went to the cinema every week from 3 weeks old till 6 months old! You can book independently here or investigate whether one of the local children’s centres has a course. (this tends to work out much cheaper!) Gail who often does the courses is lovely and a real calming influence. Go to a Baby RhymeTime session (normally hosted at one of the libraries). Visit “Coffee and Chat” on a Friday morning. This group also host a “Sling Day” on the 1st Friday of the month (see Slings for previous posts about slings) and they also do bra fittings on the 1st and 3rd Friday of the month. You can click Family Photographers in North Hampshire for a list of family friendly photographers in the area. Some do specific newborn packages, so have a look through. There are LOADS going on in the area (Tots Play, Buggy Fit, Baby Signing and Baby Sensory are just a few). To find more details about which classes are available have a look at the Activities Page on NorthHantsMum.co.uk which lists classes by day. Get a head start on those all important first Christmas presents at Pots2Paint. Perfect for creating keepsakes from your baby for your loved ones. I found it really important to get out and about with my little one in those first few months. The house became thoroughly neglected but it was totally worth it for my sanity! If you have any friends who have just had a baby, don’t forget to share this post with them! Thanks for your question Sue. I’ve done a bit of research and unfortunately I can’t find any coffee or play groups on the weekend in the area :-(. I know how challenging it is to try to keep a little one entertained on the weekend as my husband is often away for a Sunday or Saturday. Maybe this is a gap in the market that needs filling? I know of the perfect place for this, so if any of you are interested in a weekend play group please let me know. If there is enough interest I will see what I can do to arrange something under the NHM brand. For details about these and further Soft Play areas in the area check out this NHM page HERE. Also, have a look at the following post for places to go in Hampshire HERE or this post for Walks in the local area HERE. Hopefully the weather will improve soon so our little ones can spend more time outside. Having said that, when I was in North Germany earlier in the year I discovered a playgroup that spends ALL of their time outside, whatever the weather. The children are never sick and spend all morning playing outside, come rain, shine or snow! Apparently there is no such thing as bad weather, only bad clothing! I try to keep this in mind whilst looking out the window at the rain again! Does anyone else know of any groups that meet on the weekends? If you have any questions that you would like me to investigate, please don’t hesitate to get in touch. Sophie very kindly offered to help out with writing some posts on NHM. Below she shares some details about Makaton. Hope you find it useful. Thanks Sophie, great post! When we walk past the park Lucy, my 14 month old, makes L shapes with her index fingers and thumbs and shakes them, this is her sign for swings. I don’t know where it came from she just started doing it one day and then did it again when we were looking at a picture of a park. Now she does it every time we pass the park on the way back from taking her big brother to school. And then in the afternoon, when I say “It’s time to pick up Oscar” Lucy immediately rubs her knuckles together; this is the sign for brother (we picked that one up from a Makaton sign language library book). So with our swimming lessons finished for the summer I thought I would look into Makaton courses and see if it would help us communicate even better until she finds her voice, which I don’t think will be that long. Makaton is a language programme using signs and symbols to help people to communicate. It is designed to support and encourage spoken language. The signs and symbols are used with speech, in spoken word order. With Makaton, children and adults can communicate straight away using signs and symbols. Many people then drop the signs or symbols naturally as their little ones develop speech. Makaton is extremely flexible as it can be personalised to an individual’s needs and used at a level suitable for them. Many of the Sure Start/Action for Children centres do Baby Sing and Sign sessions which are centred around the Makaton programme. Pebbles Children’s Centre – Tel: 01256 357028. Story, Song & Sign – Monday 11.00am – 12.00pm. Baby Signing – Tuesday 10.00am – 11.00am. For more information you can visit the Makaton Charity website HERE. You can also see Makaton signing in action thanks to Something Special, a programme on the cbeebies channel and it’s supporting section on the BBC website HERE.